The Prairie Leadership Society is a selective program for students who are dedicated to positively representing Prairie. 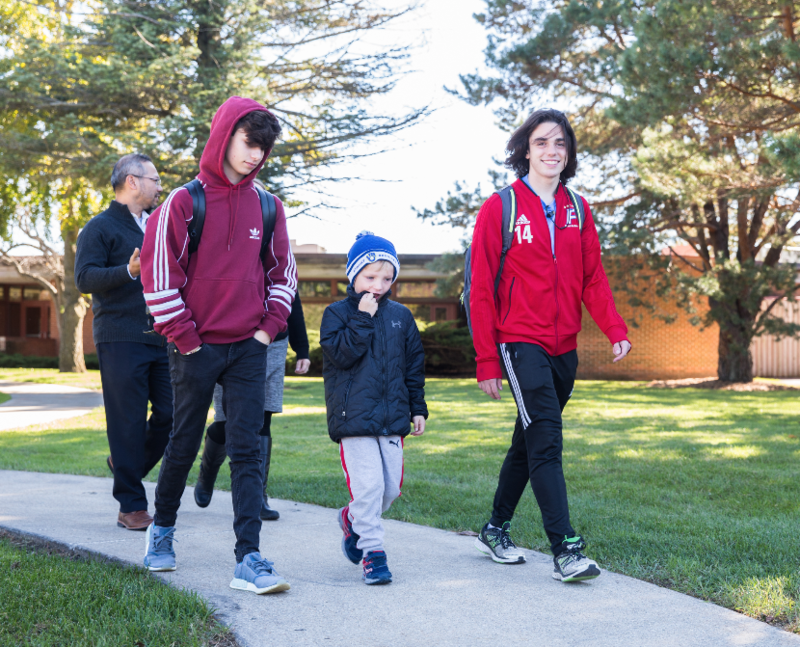 The Society is comprised of 7th-12th grade students who are in academic good standing, active members of the student body, and exhibit enthusiasm for being a Prairie Hawk. Election to the Society is based upon application, faculty recommendation, and a brief interview. Member responsibilities include assisting with Open House events, making connections with prospective students, and general support of the recruitment of students for The Prairie School. This commitment involves 10 – 20 hours per school year, based on your availability. Service hours may be provided for some events. Becoming a member of the Prairie Leadership Society allows you the opportunity to play a vital role in the Admission process. You are joining a group of student leaders chosen to represent Prairie to prospective families. As an official representative of the school, you are showing your dedication to and support of The Prairie School Hawks. Applications are open to students currently in 6th – 11th grade. Your completed application (this includes the teacher recommendation form turned in by the teacher) must be submitted by Friday, April 12, 2019. A brief interview (5-10 minutes) will be scheduled after you submit your application. Interviews must take place between (two week time frame). All interviews will take place by Friday, May 10 to be considered for the program. You will be notified via email after school on Friday, May 17, 2019 regarding acceptance into the Ambassador program for the 2019-2020 school year.